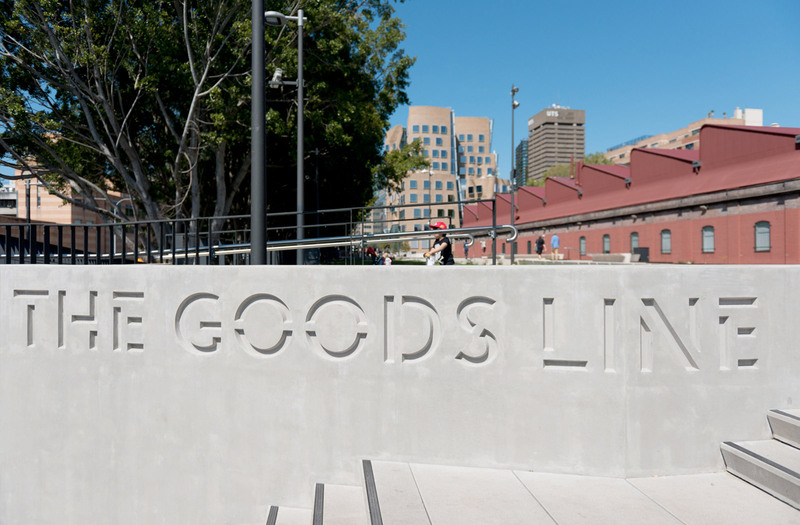 The Goods Line urban renewal project opens up a new pedestrian and cycle network from Railway Square and Ultimo to Darling Harbour. 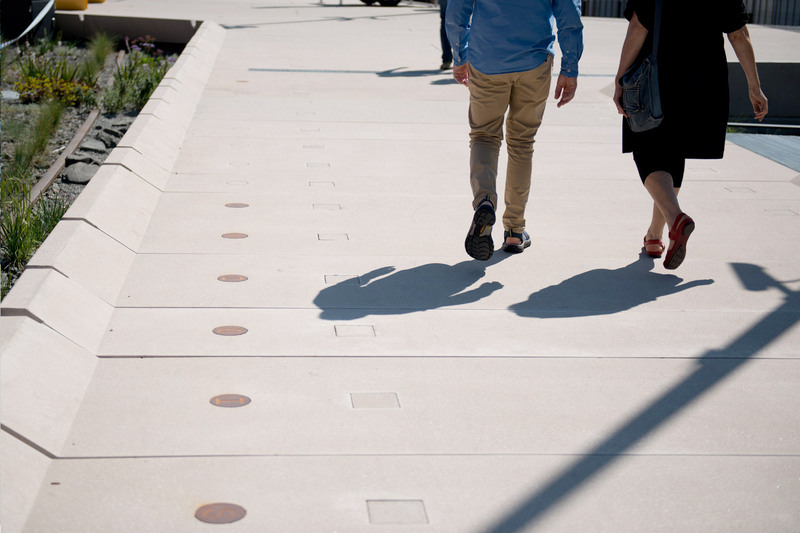 Key to its success is the transformation of a disused rail corridor and its ability to act as a vital pedestrian pathway connecting students, locals and visitors to the many major Sydney attractions. 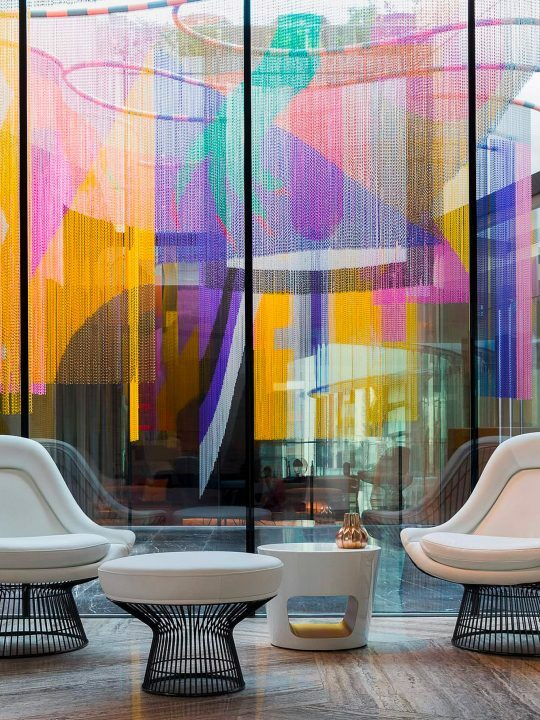 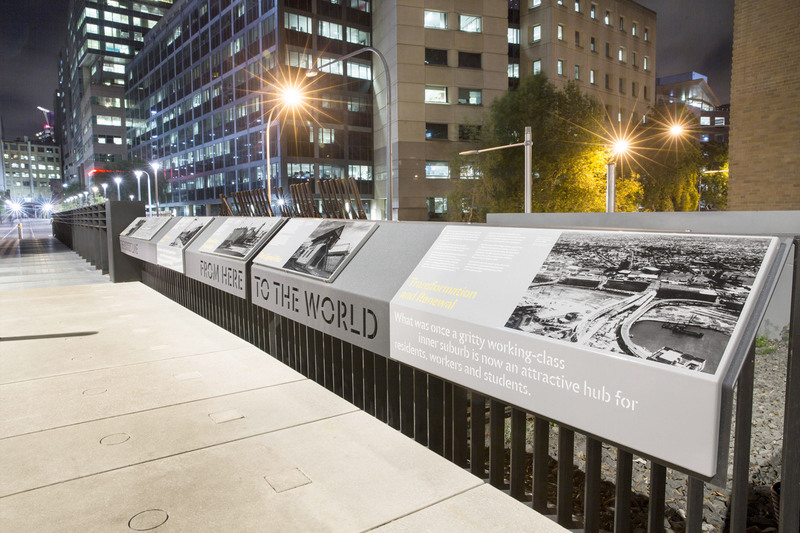 The Sydney Harbour Foreshore project was led by Aspect Studios with collaborating architects, CHROFI. 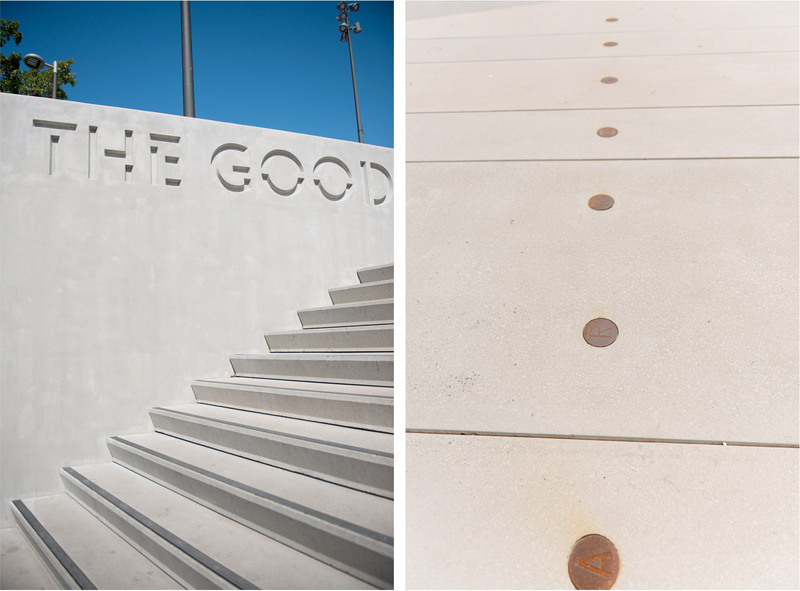 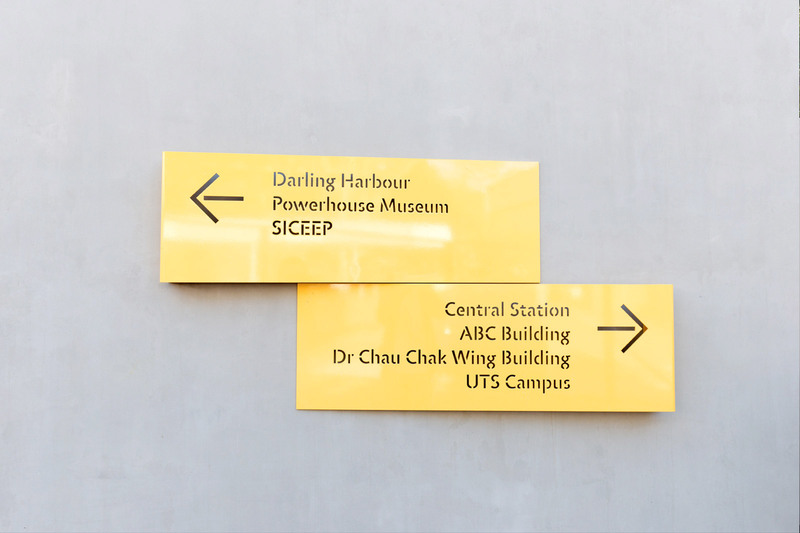 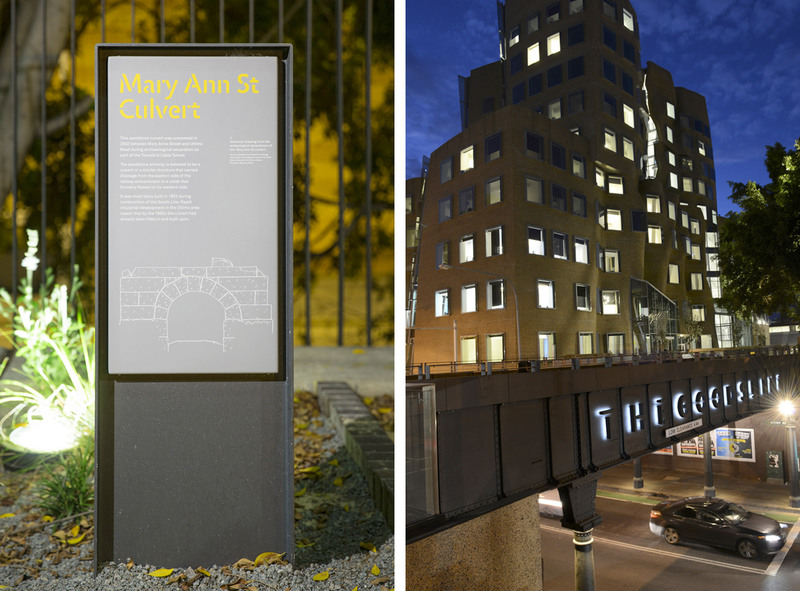 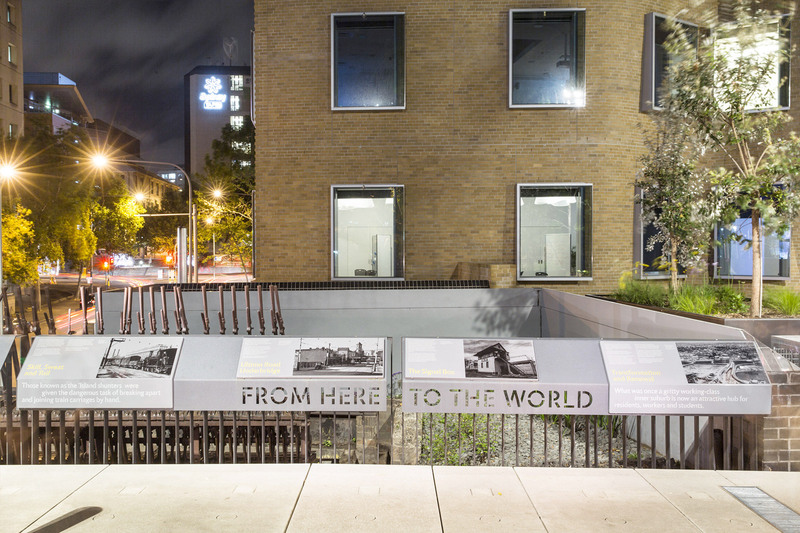 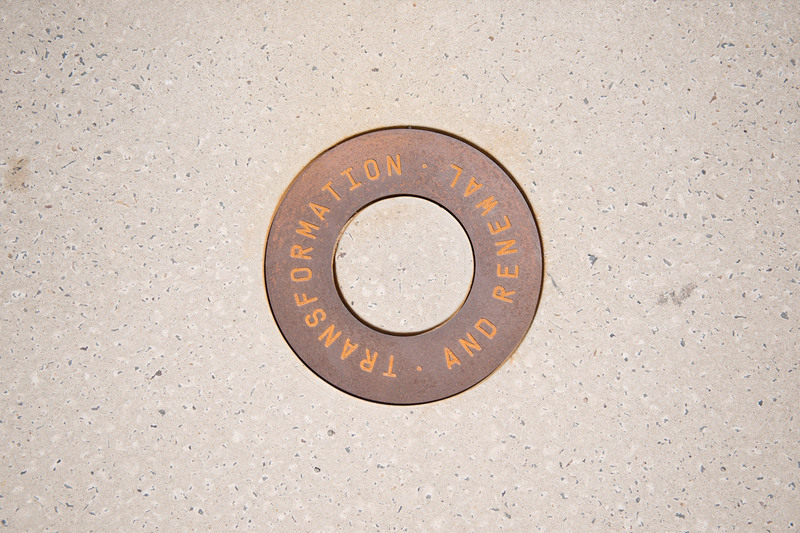 Deuce designed bold and integrated interpretive signage elements embracing and celebrating the history of the site. 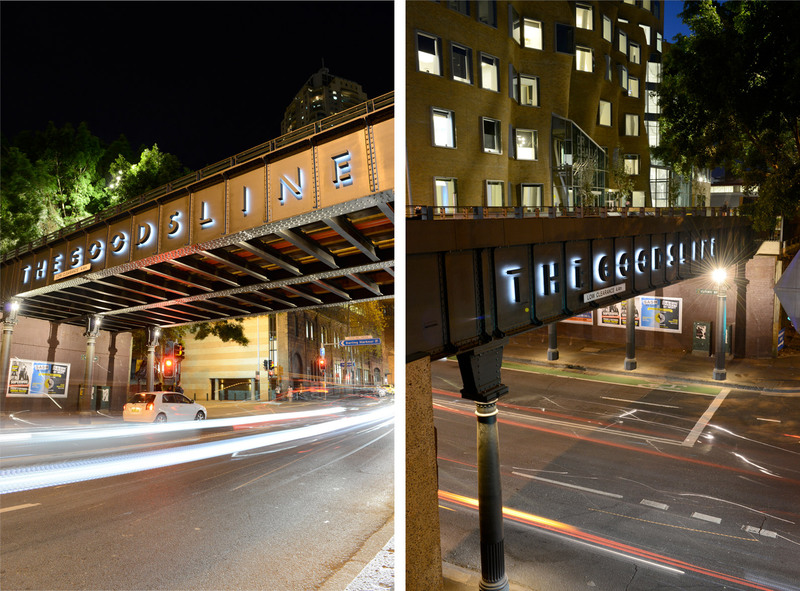 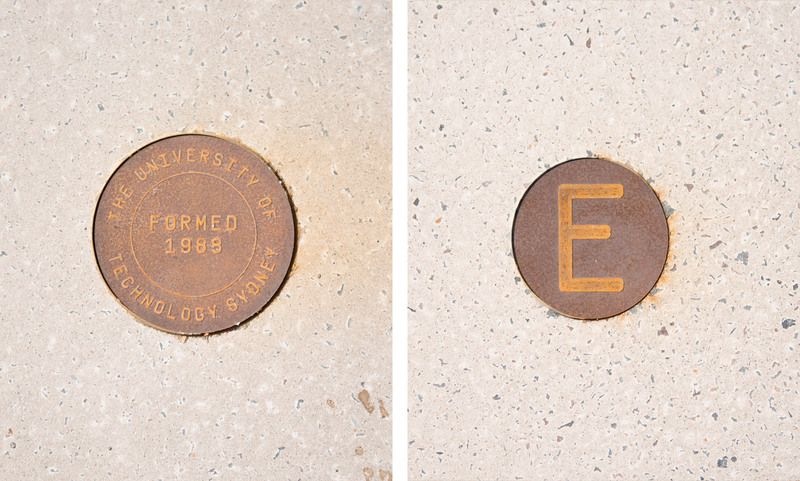 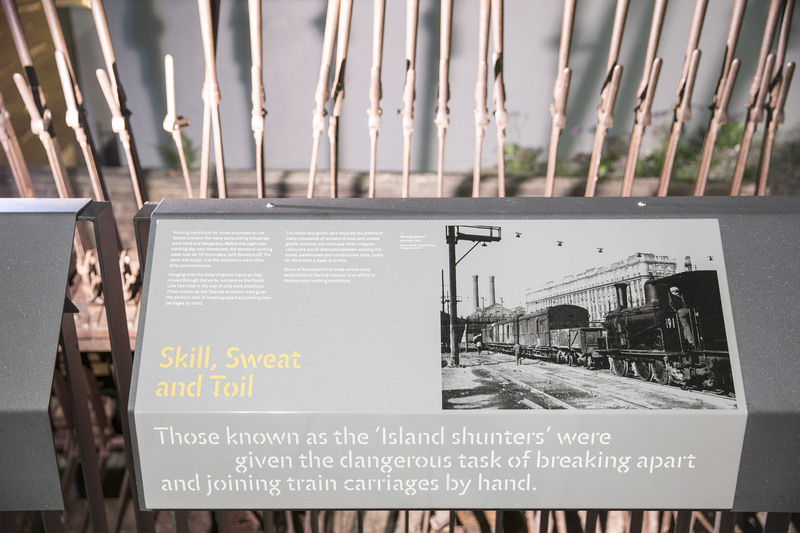 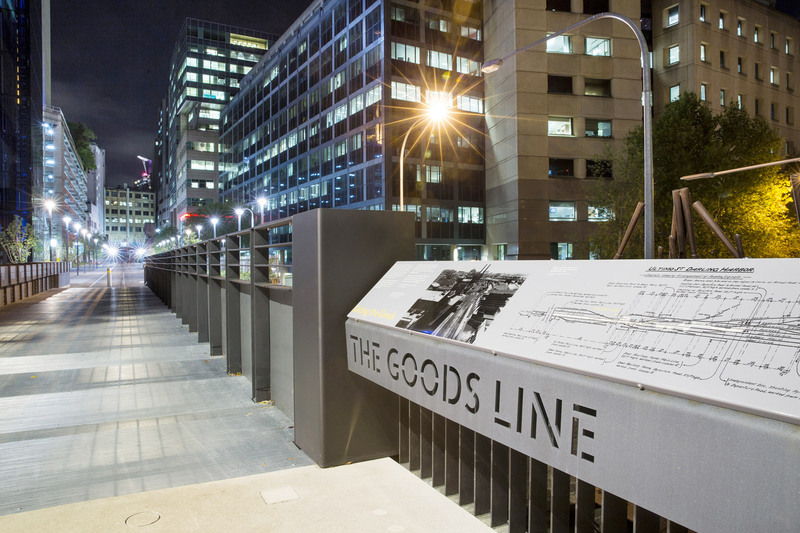 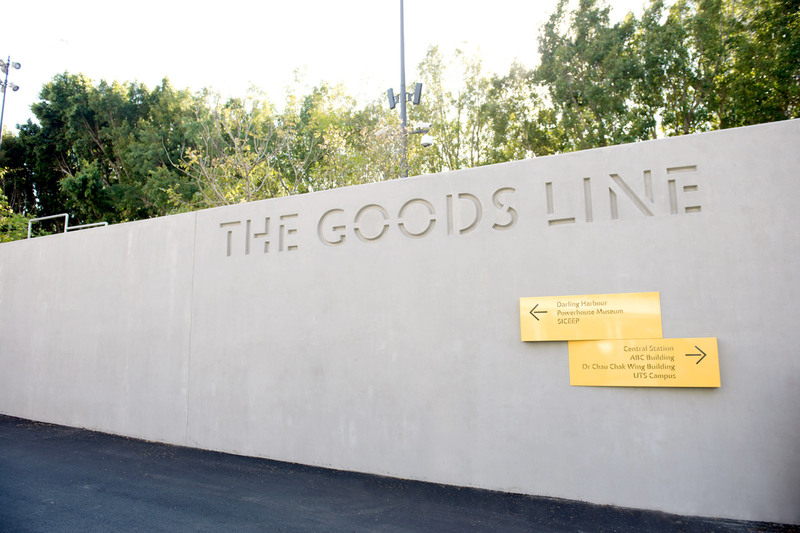 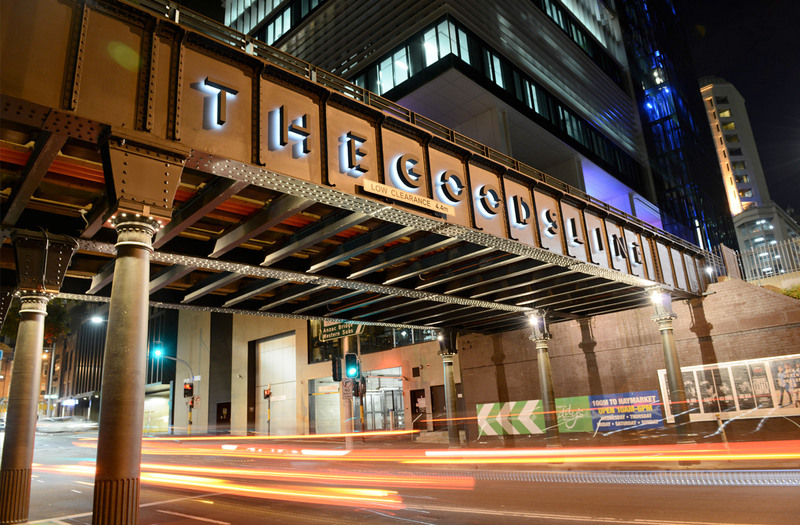 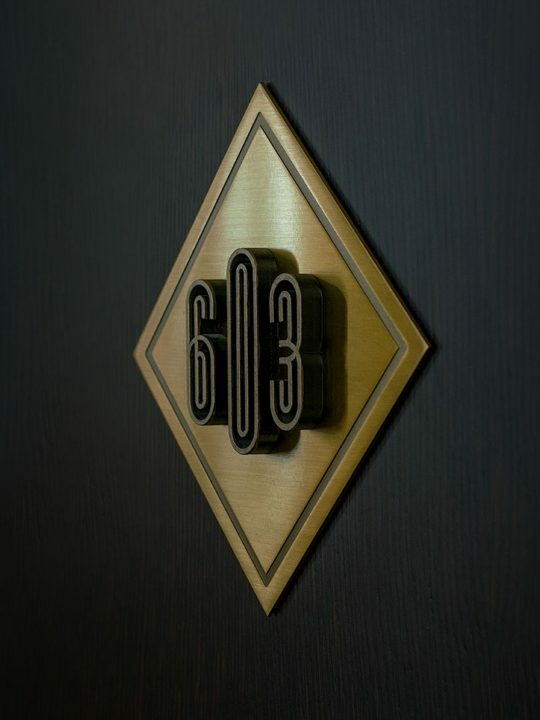 The work included the overall branding of the The Goods Line, in particular the major signage element over the Ultimo Road bridge, the bronze inlays in the ground plan and the interpretive panels in front of the Signal Box and directly in front of the Ghery Building.